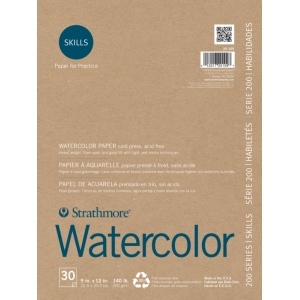 Heavyweight student grade paper with a cold press watercolor surface. 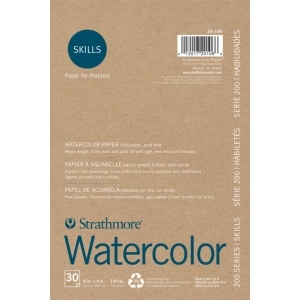 * Paper provides even washes and good lifts when used with light wet media techniques. * Developed to be an affordable recycled line to encourage practice development and improvement of an artist's skills.